This weekend Novi Ritm was invited to the opening of a “KulturCafé” in the city of Naryn. It’s a city situated in the central parts of the country and it’s the administrative center of the region of Naryn. 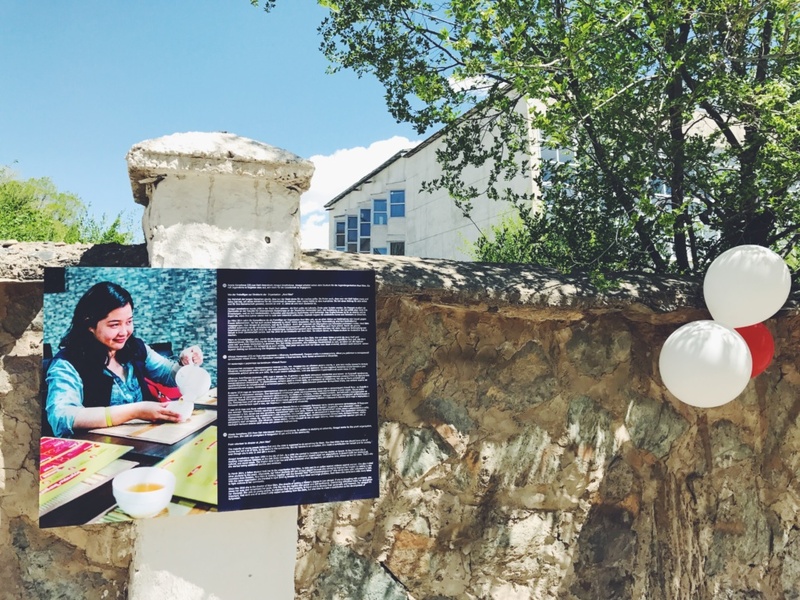 According to the university students that initiated Naryn’s “KulturCafé”, social life in the city is mostly centered around the family. Public spaces to hang out at and meet other people – especially for young people, are rare, even non-existing. Therefore, the goal of creating this “KulturCafé” was to increase the quality of life as well as knowledge building between different cultures (as the city has two universities – one of them with international students) and to prevent inner migration (as many young peoples who can afford it move to Bishkek). From one of the participants we were also told that bride kidnapping is being practised in the region, heavily affecting young women’s movement in the city. For this reason, we were told the “KulturCafé” also exists as safe space for young women. 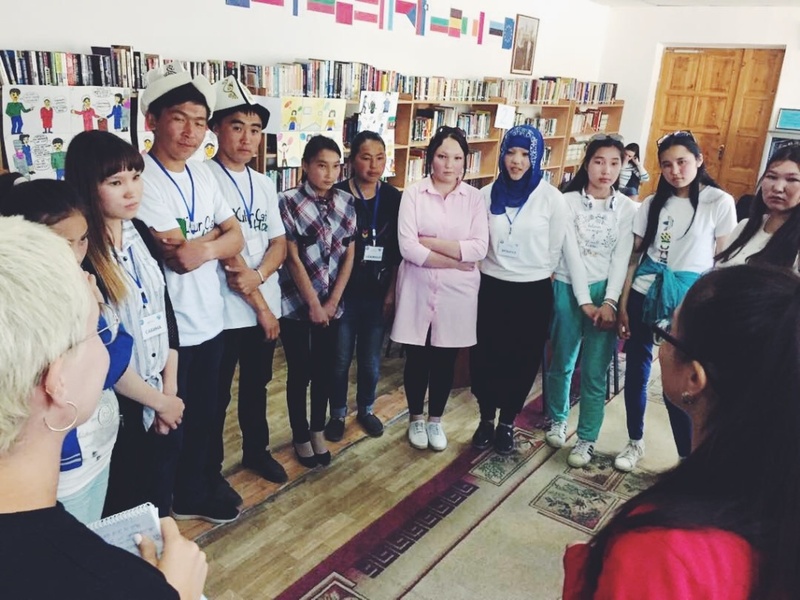 The idea is that this will be place where young people from different background can meet and network as well as challenge hierarchies and social structures, and hopefully enable more active participation in Naryn’s city life. 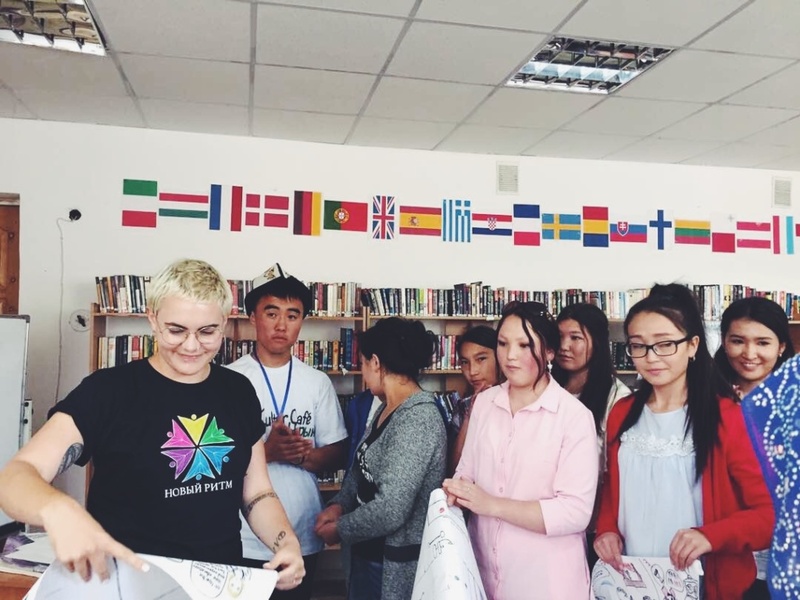 The “KulturCafé” was created by a body of 24 university students from the State University together with their teacher, Anna Maier and with support of two German organizations: the Friedrich-Ebert-foundation in Bishkek and the Robert-Bosch-Foundation. 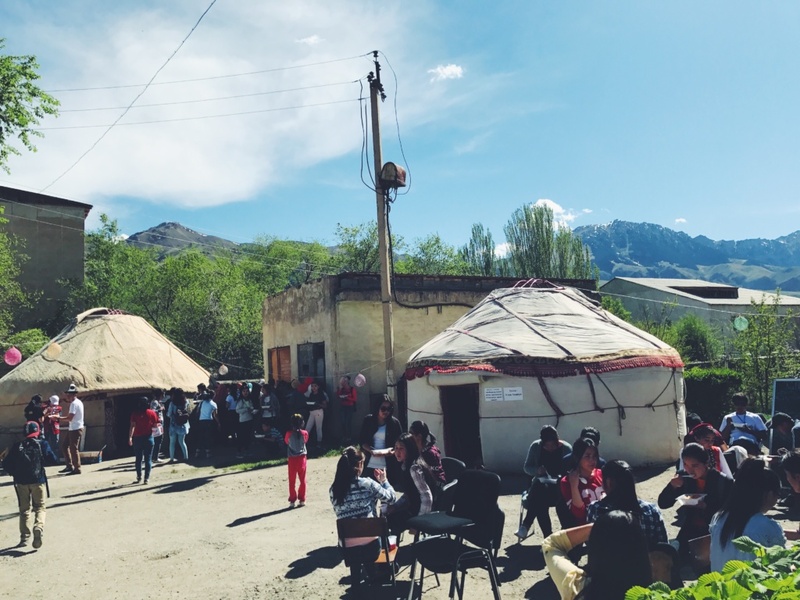 In order to raise awareness concerning the café existence and to get in touch with the citizens of Naryn, a “Kultur Festival” – basically the opening of the café – was initiated, and this is what we took part in during this weekend. A space in the city’s old Soviet Youth Center, situated right next to one of the State University’s buildings, has been renovated in order to house the “KulturCafé”. 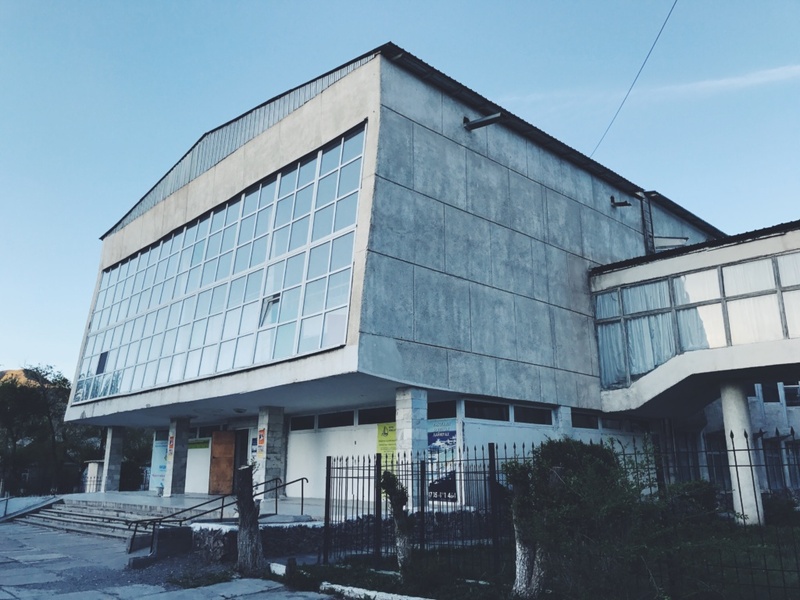 For the festival, a stage and different exhibition areas had been set up in connection to the university and the old Youth Center, as well as a bar and music area. The bar area where visitors and participants could hang out, listen to music, drink some juice and eat plov. As you can see from the program, Novi Ritm was invited to hold a session in one of the festivals venues. We were glad to inform around 25-30 young women and men about the organization, social engagement and volunteering, as well as about our projects; how we work with UN Resolution 1325 and how we use comics as way of challenging and possibly even dismantle harmful structures and social practises in Kyrgyz society. After this we let the participants create their own comics about issues they care about/social problems in Naryn and then present them to each other. Topics brought to light were: limited access to do sports – especially for women, problems with huge amounts of trash being thrown on the city streets and in the river and about hierarchical structures within family life – where young people’s voices seldom or never are heard and/or respected.